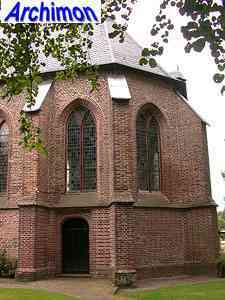 This church was entirely built in the 15th century as a replacement of a smaller church with a free-standing tower. 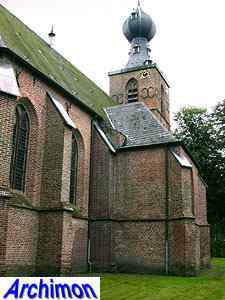 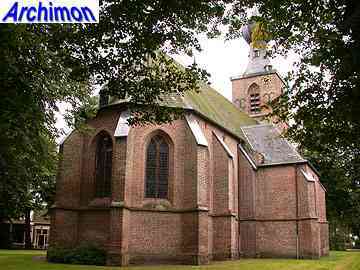 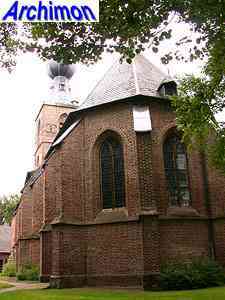 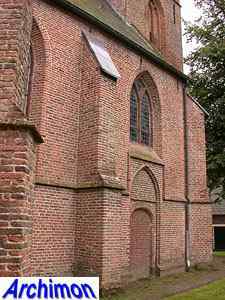 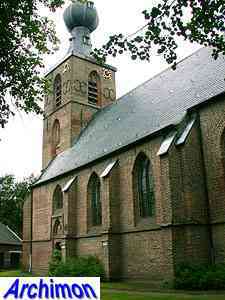 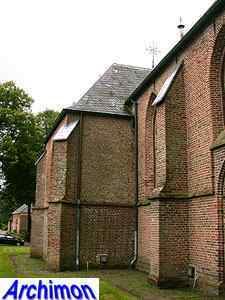 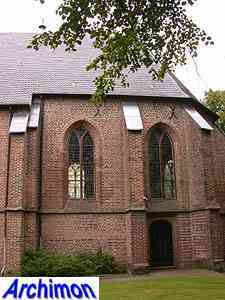 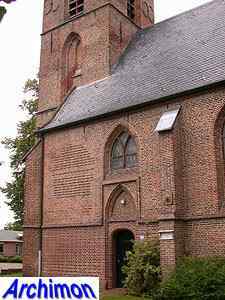 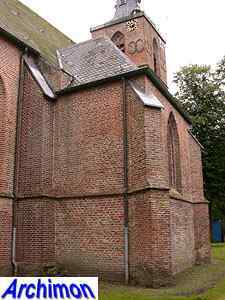 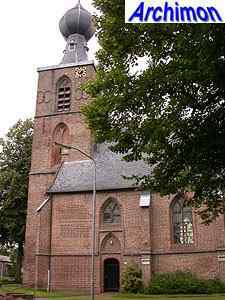 It is very similar to other Gothic village churches in the province of Drenthe, consisting of a one-aisled nave with a narrower choir and a tower decorated with niches. 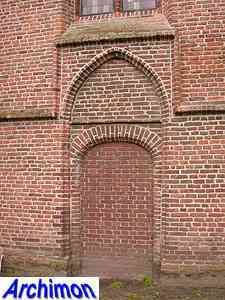 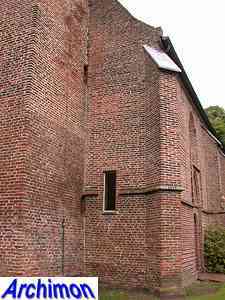 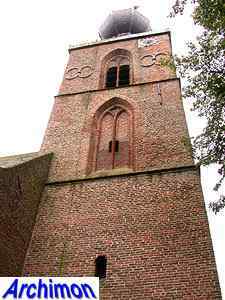 The tower of Dwingeloo, which was possible designed by Johan die Werckmeister, differs from other examples of the Drenthe type as it doesn't have niches at the sides of the lowest segment. 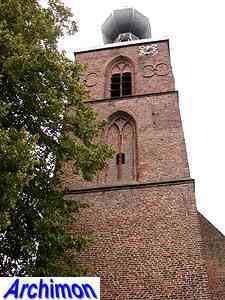 The spire with its onion-shaped upper part is unique as well and dates from 1631. 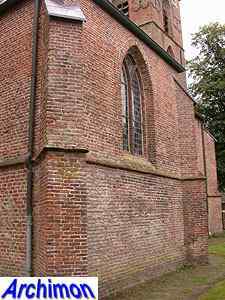 At the north side of the nave, looking like a transept-arm, is a chapel, which was property of a local noble family. 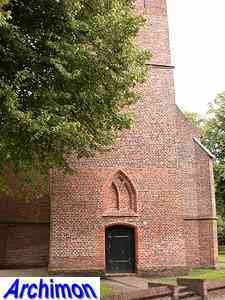 In 1923 the church was destroyed by fire. 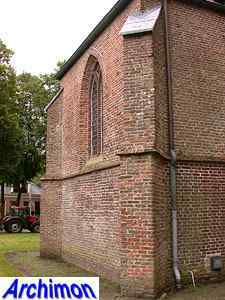 Only the walls survived. 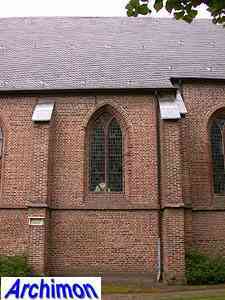 During the restoration traceries to the windows were added and the vaulting over the choir was rebuilt.